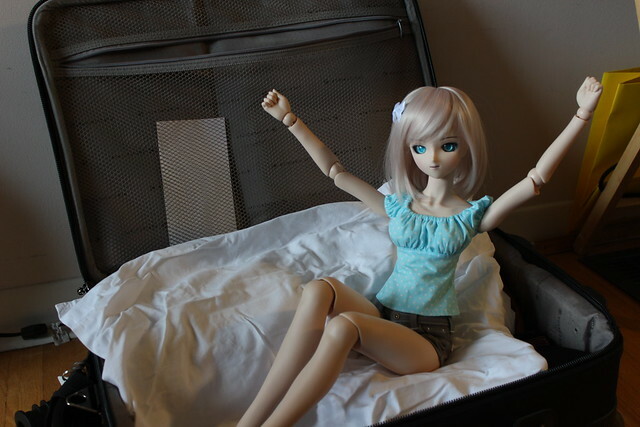 Hinata takes a moment to stretch out after being cooped up in my suitcase. 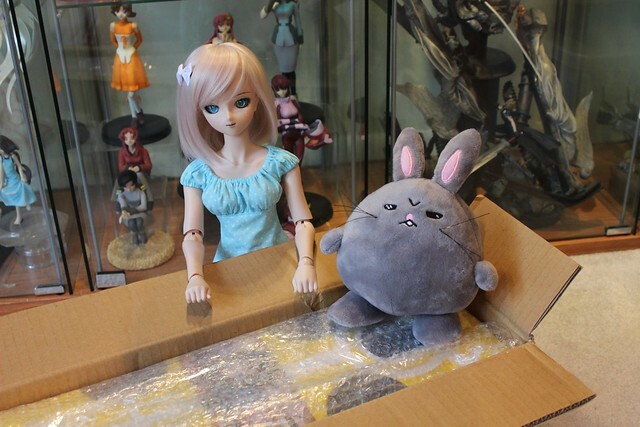 Then she spots a big box in the living room! What on earth could this be? 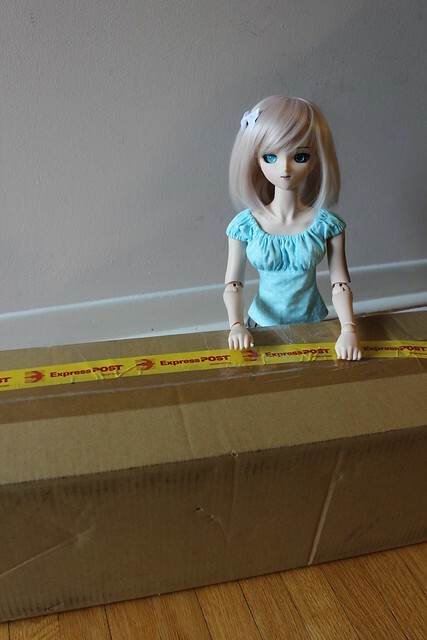 I brought the box downstairs so that Hinata would have more space to open up the box. Angry Bunny hopped over to see what was going on. 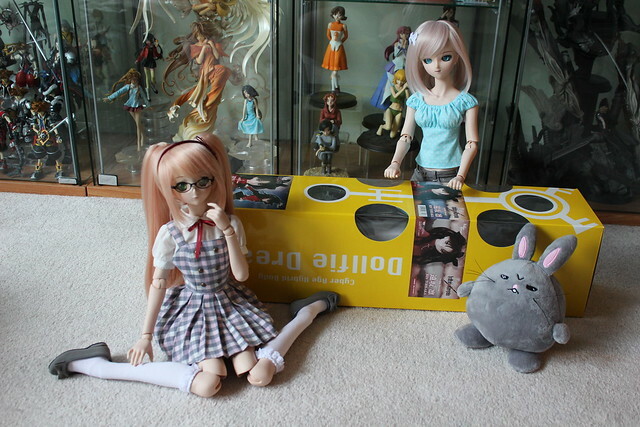 That colour yellow looks awfully familiar – could it be another Dollfie Dream? The noise draws Gabrielle over to investigate too. It’s Rin Tohsaka from Fate/Stay Night! Here she is with all her default items: her wig, outfit, socks and shoes. She looks so cute in her school uniform! The inside of her red top is lined in white, and so is her skirt. There are wires in her skirt so it is poseable, which is really cool! Her socks have stained her feet, so I’ll have to do some stain removal treatments on her. 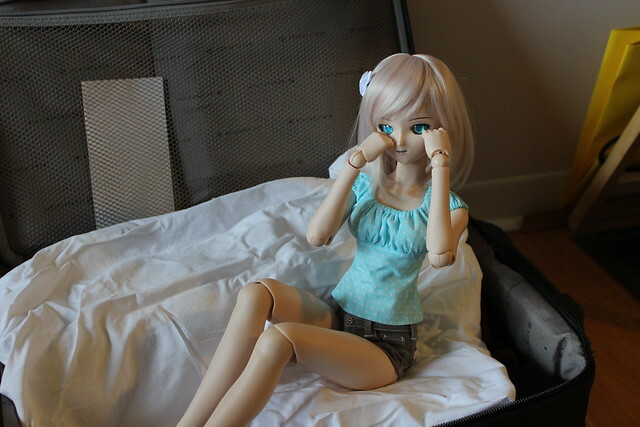 This entry was posted in Doll Box Opening, Dollfie Dream and tagged Dollfie Dream, Gabrielle, Hinata, Rin by archangeli. Bookmark the permalink.